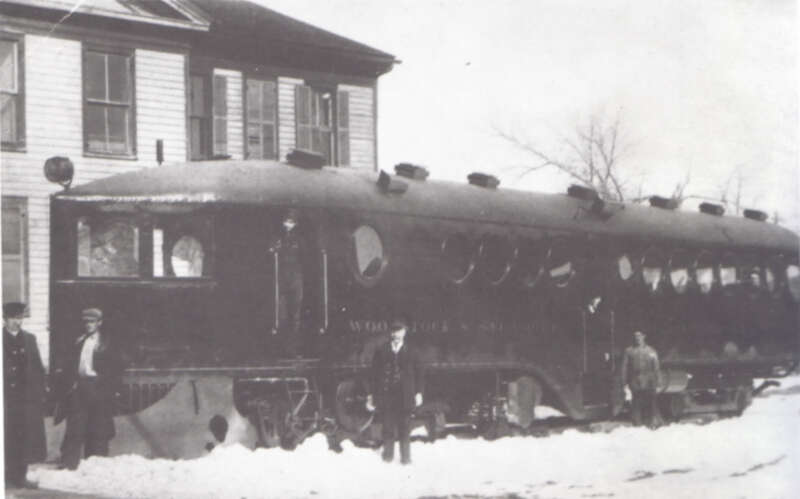 Woodstock and Sycamore Traction Company | The McKeen Motor Car Website Woodstock and Sycamore Traction Company | The Compendium of Knowledge on the McKeen Motor Car Company, and their experiments. 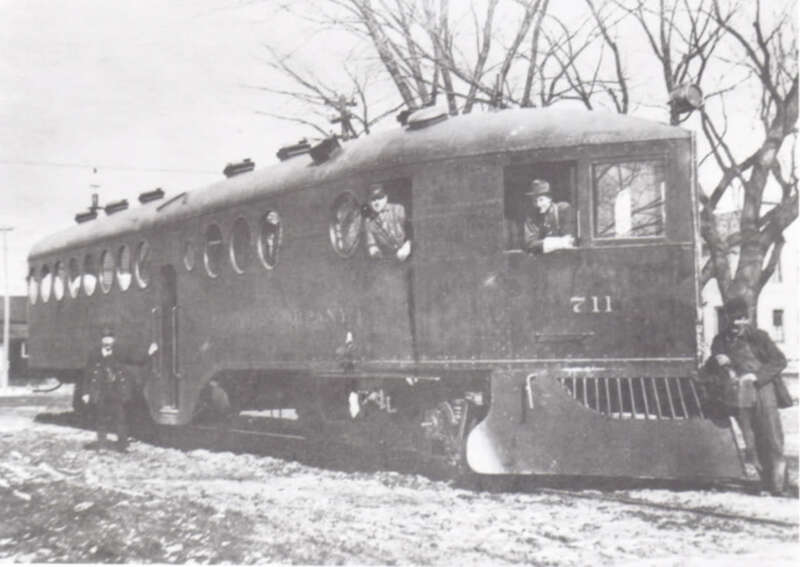 This photo is of the McKeen Motor Car #711 still at the factory. 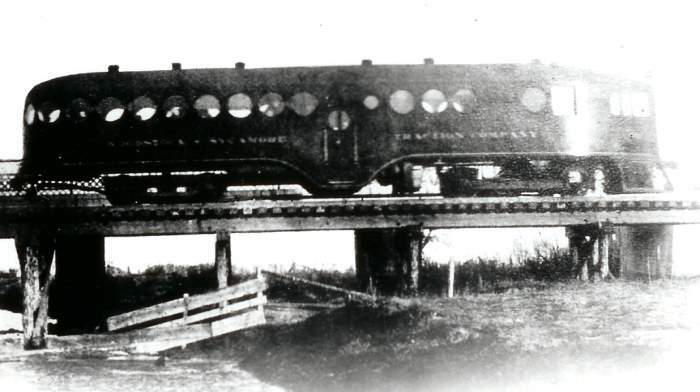 This is a builder’s photograph taken to send to the railroad before the car would be shipped. Later on, this car would return after being not fully paid for when the railroad went out of business. It would then be rebuilt and sold with its sister #709 to the Alberta and Great Waterways Railway. McKeen #707 on Washington Street, Genoa, Illinois. 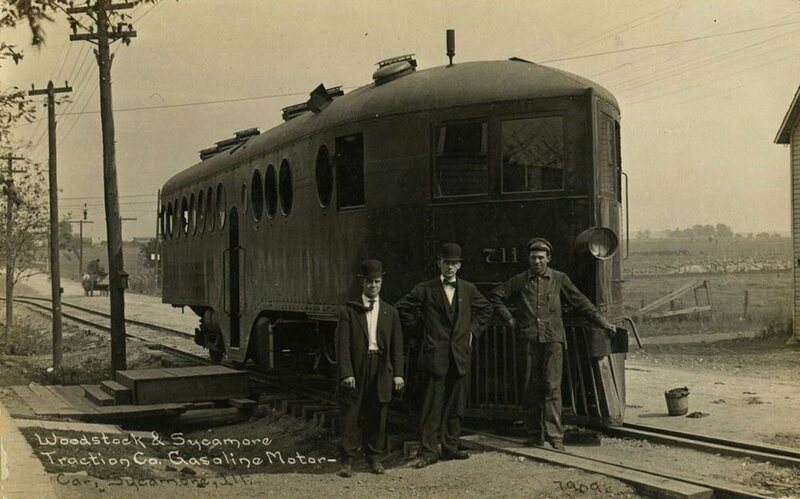 #707 at Marengo Terminus in late 1911. McKeen #711 crossing the Kishwaukee River, north of Sycamore in 1911. Left to right, Lloyd Hoover, Henry “Hick” Nulle, and Lloyd Ritsenthaler. This is an early photograph as the headlight has not yet been moved upward on the nose. 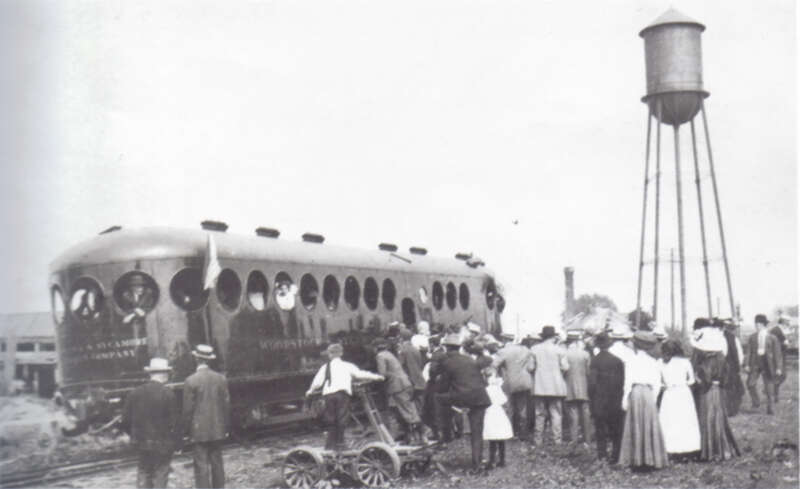 Possibly a photograph from around July 4, 1910, right after the car was delivered to the Railroad. 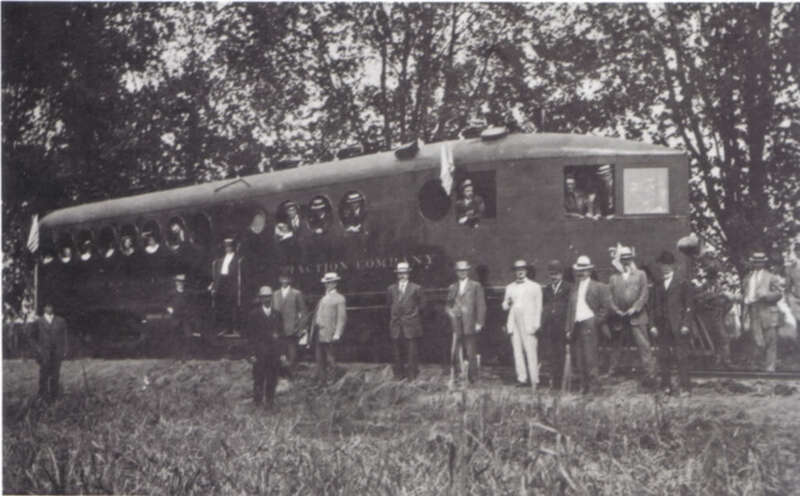 Here the #711 is being shown off to the Public on July 4, 1910. Here #711 is prepared with a McKeen Snow Plow Attachment allowing the McKeen Car to somewhat be able to operate in snowy weather. The problem was the engines really didn’t like starting up with cold water. #711 facing south beside the Pacific Hotel on Washington and Main Street in Genoa. 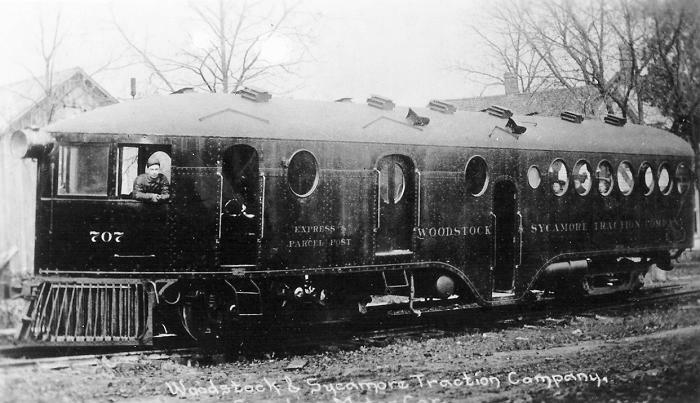 Some information was used from the book, “The Woodstock and Sycamore Traction Company” by William E. Robertson. I would highly encourage purchasing the book as there is much more information in that book than is shared on this page.